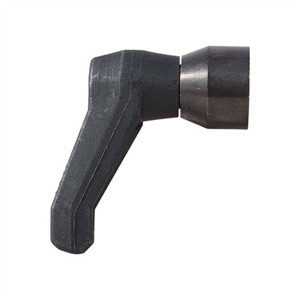 Made in the USA, the American Defense Manufacturing Harris Swivel Bipod Mount is designed expressly to enable the mounting an S-style (swiveling) Harris bipod to a railed forearm. It is not compatible with the Tac Lever. 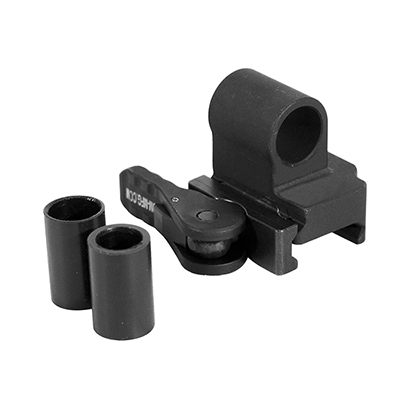 Machined from 6061 T6 aluminum and Type III hard-anodized (Mil-Spec), this accessory is fully adjustable to permit use of rail systems that are within and outside of Mil-Spec. 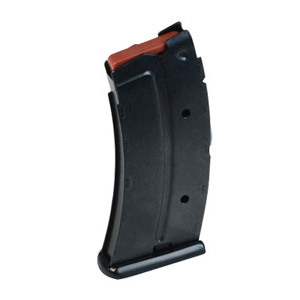 Secures via American Defense MFG's patented QD Auto Lock Lever System, and carries a lifetime warranty (as with all of ADM's products). I purchased this adapter recently (it was the newer 2-piece models with sleeves), and ran into much the same issues as the anonymous review from 2018. Thankfully, I was able to determine an easy fix - you can remove the adjustment nut, slide out the entire lever and post assembly, and flip the lever 180*. You will want to leave the clamp plate (the sliding plate the lever presses against) in its original orientation, as only one side has the small divots to support the springs. 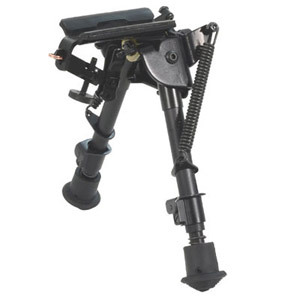 Once the lever is turned around, it points forward on the bipod when closed, and the swivel function works as it should. Received one of the old one piece models. It has the same part number as the newer two piece mount. Can only be mounted on the bipod with the lever locking to the front as when turned the other way it will not mount as it hits the frame of the bipod. Can not get full side to side movement as the lever hits the bipod when mounted the only way it can be mounted. Terrible product, will not work well on the harris S model. The newer one I saw installed on an S BRM bipod on YouTube works well. Will try to exchange or get refund.